Would you travel to Mars if it meant staying forever? To some, a one-way ticket to another planet might sound daunting—but when Mars One, a European and American venture aiming to send human settlers to one of Earth’s closest neighbors, put out its first call for applicants in 2013, it received thousands of responses. In this new series of doc shorts, we meet five Mars One finalists eager to become the first extraterrestrial emigrants: a former military man, an architect, an engineer, and an adventurous couple who met through Mars One forums online. Find out why all of them are eager to join the first mission, projected to take off in 2031—and what they think will be the biggest challenges of becoming Martians. Boston-based couple Yari and R Daniel Golden-Castaño met on a Facebook group for aspiring Martians, married on a day when the red planet was closest to the Earth — and have signed up to colonize the fourth planet from the sun. “It’s just part of [my] childhood dreams,” said R Daniel, 36, an Army reservist who is studying computer science. The pair are two of 100 semi­finalists worldwide who have been selected for the Mars One program — a Dutch organization’s scheme to launch a human colony on the planet by 2032. More than 4,200 candidates originally applied, and the group of 100 will eventually be whittled down to 24 trainees. They’ll be subjected to a decade of intense training: sequestered in a remote location where they will learn to grow food, repair technology and offer medical training. No one will be given a return ticket. The 100 come from all ages (18 and over) and walks of life and were chosen for their adaptability, curiosity and suitability to work and live with others. Each submitted an online application with a short video and were interviewed about their motivations. The Golden-Castaños are among five potential future Martians profiled in “I’m Moving to Mars,” a four-part documentary that premieres Thursday on Topic.com. Bas Lansdorp, Co-Founder & Chief Executive Officer : “Mars One can only implement the mission to Mars if we can afford it – and we need investments to get going. Being listed on a stock exchange will make fundraising more straightforward. In order to make Mars One’s commercial activities an attractive investment with the potential of a good return on investment, Mars One had to adjust the timing of the planned unmanned and manned missions. This pushes the large expenses associated with the mission hardware back in time, making the company cash positive sooner. The delay we are currently announcing is also because it took us longer to get to this point than we originally anticipated. Of course the whole Mars One team would have preferred to be able to stick to the original schedule, but this new timeline significantly improves our odds of successfully achieving this mission roadmap”. 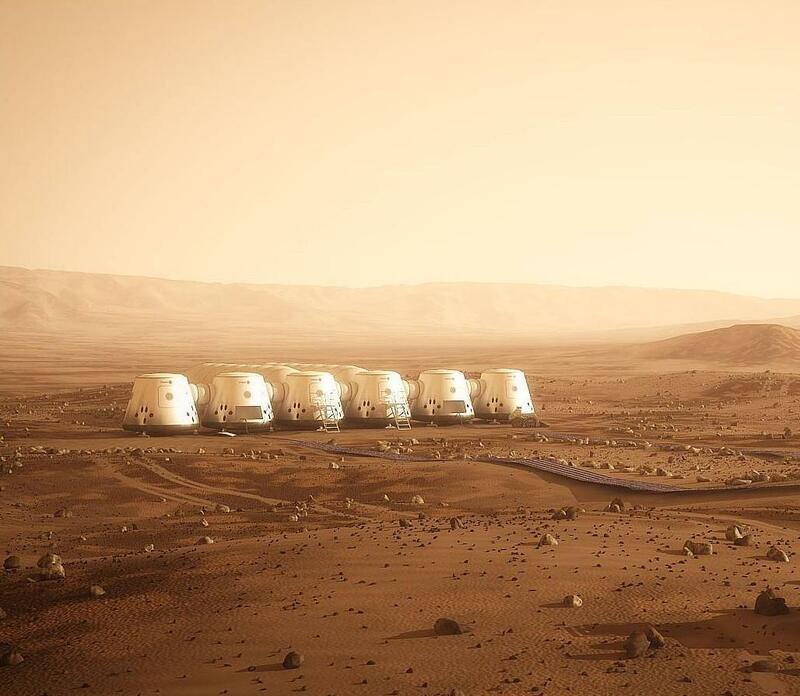 Mars One is currently raising up to €10 million in the first round of funding after the listing on the Frankfurt Stock Exchange. This will provide enough funding to move the mission to Mars forward: award new contracts to suppliers, organize the next round in the astronaut selection process, hire team members with experience in implementing Mars missions, and crew selection and training. Additionally, Mars One Ventures, the commercial arm of Mars One, will build a core team of experienced media professionals to develop the Mars One brand, including by creating captivating media content for audiences around the world. Mars One and InFin Innovative Finance AG [FRA:KCC] (“InFin”) are pleased to announce that a takeover agreement was signed between InFin and all shareholders of Mars One Ventures PLC (“Mars One Ventures”). InFin will acquire 100% of the shares of Mars One Ventures for €87 million with newly issued, fully paid up InFin shares. After admission of the new InFin shares to trading on the Frankfurt Stock Exchange, the Mars One Ventures shareholders will hold 97.5% of the InFin shares. The boards of the companies have unanimously approved the agreement. InFin Innovative Finance AG will be renamed Mars One Ventures AG. “Mars One is very pleased to have been acquired by InFin. This step provides the opportunity to raise capital through the listing on the Frankfurt Stock Exchange. This listing also supports our aim to attract international support to establish a permanent human settlement on Mars: our global followers will have the opportunity to be part of this adventure and to literally own a piece of this historic venture. We have a solid business based on our historical performance that might be of interest to anyone looking for diversification of their investment portfolio,” says Bas Lansdorp, CEO and co-founder of Mars One. NASA may believe that it’ll be the first to land humans on Mars, but don’t tell that to Las Vegas betting houses. Popular Mechanics has asked Docsports’ Raphael Esparza to set odds for the first organization to put people on Mars, and he believes that SpaceX stands a much better chance of reaching the Red Planet (5 to 1) than anyone else, including NASA (80 to 1). To put it bluntly, SpaceX has the money and the motivation that others don’t — NASA would be the favorite, but its budget cuts are holding it back. The debate stemmed from the students’ scathing critique of Mars One’s plan to set up a permanent human colony on Mars. That report, published in 2014, triggered widespread criticism of the company’s too-low $6-billion budget, unrealistic timeline, and general lack of preparedness for the challenges of Mars. On Aug. 13 at the Mars Society Conference, two of the MIT students picked apart Mars One’s plan again — this time in front of CEO Bas Lansdorp and Barry Finger, chief engineer and director of life support systems for Paragon Space Development Corporation. Mars One is pleased to provide further insight into the upcoming selection rounds that The Mars100 will face. The new information on the Mars One astronaut selection process has been released in a new Inside 360 article: “Screening from 100 to 24”. Mars One additionally introduces six new candidates to the astronaut selection process that have replaced former candidates that were not able to proceed to the next selection round. The private colonization project Mars One has pushed its planned launch of the first humans toward the Red Planet back by two years, to 2026. 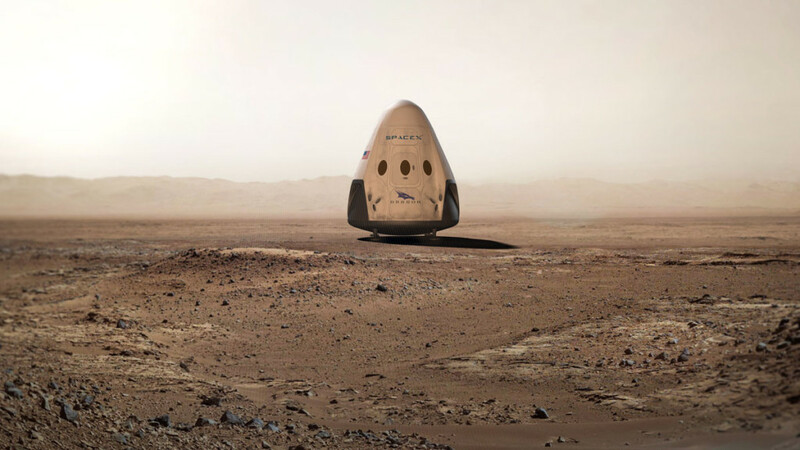 The delay was necessitated by a lack of investment funding, which has slowed work on a robotic precursor mission that Mars One had wanted to send toward the Red Planet in 2018, Mars One CEO Bas Lansdorp said in a new video posted today (March 19). Dubai-based Indian girl Ritika Singh (29) has made it to top 100 under the much-hyped “Mars One” mission launched by a Netherlands-based NGO last year to start human civilization on the Red Planet by 2024. Her family resides in Jalandhar. Her father Narinder Singh is the Deputy Director General, Jalandhar Doordarshan. The adrenaline junkie has been chosen along with other two Indians from among two lakh applicants who participated in the online contest from across the world.